Saturday, May 9th…our next monthly Farm Tour. Pre-registration is required & space is limited. Learn more and sign up here. The first in our series of interconnected seasonal workshops begins on Saturday, April 25th. Learn more and sign up here. 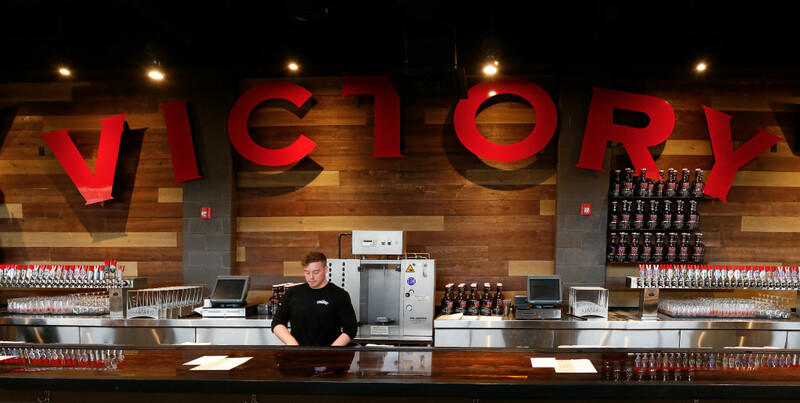 Kennett Square residents are eagerly awaiting the arrival of Victory Brewing Company to 650 West Cypress Street. The opening of a second location of this 19-year-old company to the area is proving to be a benefit for many of Chenoa Manor’s residents as well. Victory has long been a generous supporter of our fundraising events by donating beverages whenever requested, and this generosity & community support is shining through again. The production of Victory beer in Kennett Square will result in hundreds of pounds of “spent grain.” Spent grain is the leftover adjuncts after much of the sugar, protein, and other nutrients have been extracted. Even though it’s no longer useful in brewing, spent grain makes good animal forage, and Victory would like to donate all of their spent grain to the residents of the Manor! In order to do this, we must be able to properly store the feed in bins once it arrives at the Manor. We need to raise $800 in order to purchase these bins, and we’re asking our supporters to help us facilitate this process. Brewing at the Kennett Square location is set to begin within the next two weeks and we want to be as prepared as possible, as quickly as possible. Please consider making a donation to the cause.